Nobody likes to be stuck in traffic. Now if you are living in a small town or a city that doesn’t have a large population, you may not see traffic too much. But if you are living in New York, Philadelphia, Chicago, or other major cities in the U.S., there is a good chance you have to deal with traffic from time to time. Whether you are a small business owner or work a 9-5 shift, there are better things you can do with your time than being stuck in traffic. That’s why iNRIX Traffic comes in handy. 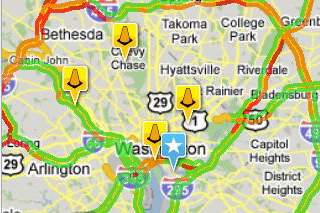 It’s a cool predictive traffic application for iPhone that lets you identify and avoid problematic roads easily. 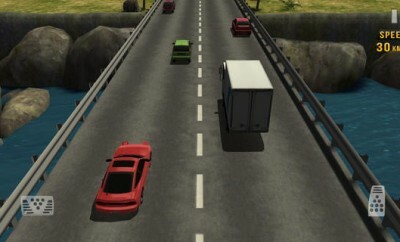 iNRIX Traffic uses predictive traffic technology to help you figure out how traffic will change over the next hour on the roads you are planning to pass. The iNRIX Smart Driver network is a crowd-sourced network that helps you get the most accurate data wherever you are. Since there are a lot of people already a part of the network, you have a better chance of getting the most accurate information. Based on the information provided by the drivers (anonymously), iNRIX provides you with a prediction on how traffic will develop in the future. 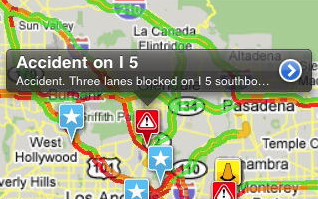 You can also see the latest traffic incidents, constructions, and road closures, so you don’t get on a road that will end up costing you a few hours of your precious time. I also like the fact that a lot of cities are covered in this app. Whether you are in the U.S. or Canada, this app can come in very handy. Best of all, there are no fees or monthly payments. As someone who’s used predictive traffic GPS devices in the past, I can tell you that none of these devices are completely accurate. The technology has gotten better, and iNRIX is certainly very impressive. The large network behind this app has certainly made predictions more accurate. And unlike a lot of traffic solutions on the market, you don’t have to pay a monthly fee, which is a very big plus. 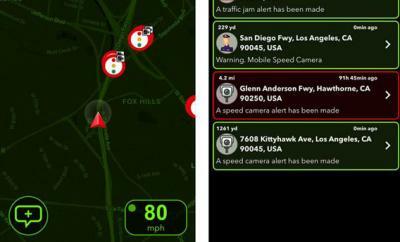 The fact is, you have better chance of avoiding traffic with iNRIX Traffic than without it, which is why I recommend this app to anyone who hates being stuck in traffic.